One Thursday afternoon I decided that I need to go to a place free of distractions. This means no school, no family, no TV, no customers, and no noise. I needed to focus on working on my program for our Bio General Meeting. 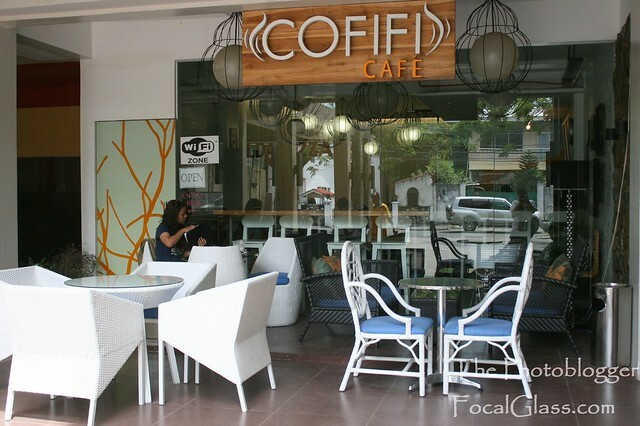 Anyway, Cofifi Cafe, great place! I love it! The Cafe is secluded though not hard to go to, it’s near the road with a good distance from it too to avoid noise from the cars. The cafe is just in the arcade beside STC and right beside Calda Pizza. 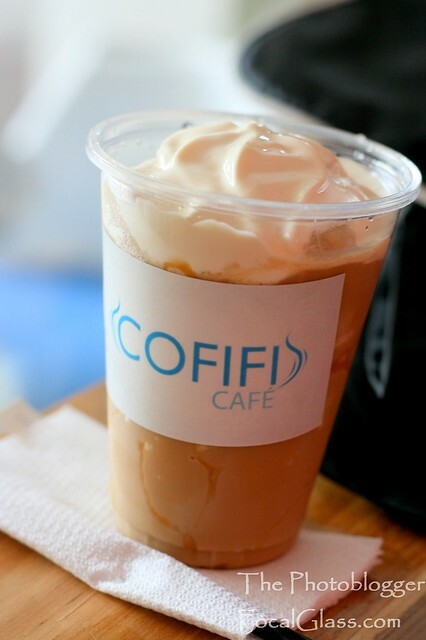 So why do I love Cofifi Cafe? Three words: cheap, comfortable, and cool! I love how the drinks are very affordable. 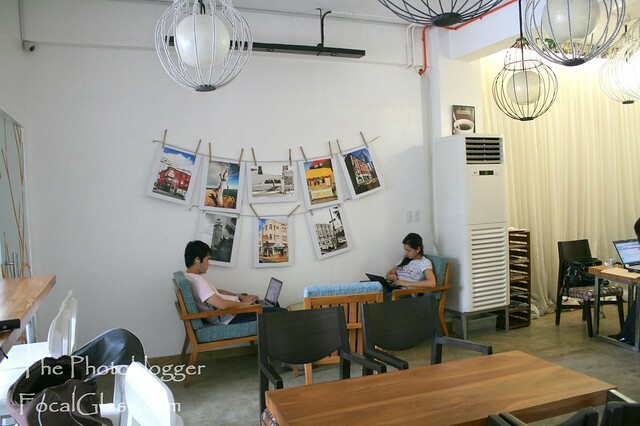 I’ve been to quite a few coffee shops around Cebu such as Ucc Coffee, Cakewalkers Cafe and many others. The prices of their coolers, iced coffee and stuff will range from 120-150. Guess how much the Tall drink here is? 85php!! The grande is for 90php! 😀 More reason to love this place. I ordered the caramel drink and it’s not bad at all. Not too sweet and not that bad at all. There are lot of chairs inside. They have foamed chairs, hard chairs, pillowed chairs, and even high chairs for those who don’t want to fall asleep. They also have chairs and sofas set up outside if you’re not the indoor type of person. The place is rather cool and if you find it too cold you can go face the glass wall where there’s an ample amount of sunlight to warm you up. When working in coffee shops I like to make sure the place has this ambiance that just puts me on the zone. This place has that ambiance. You can choose to sit in the dark corner to zone in, or you can also choose to sit near the well lighted area. If it helps it even has a pizza place just beside it. 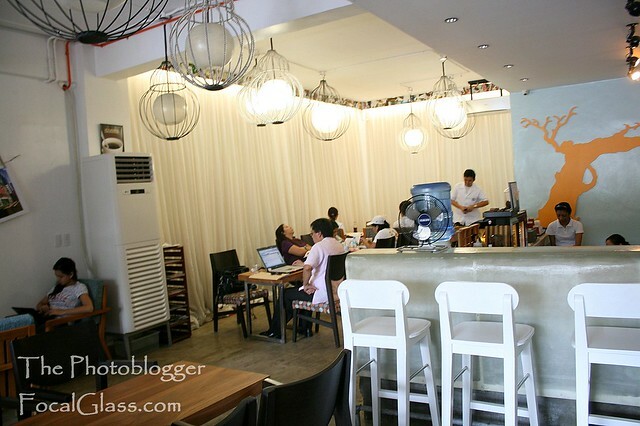 Great place for barkada meet ups. I particularly like how the staff didn’t have the “I-want-you-to-get-out-as-soon-as-you-are-done-with-your-drink” aura. 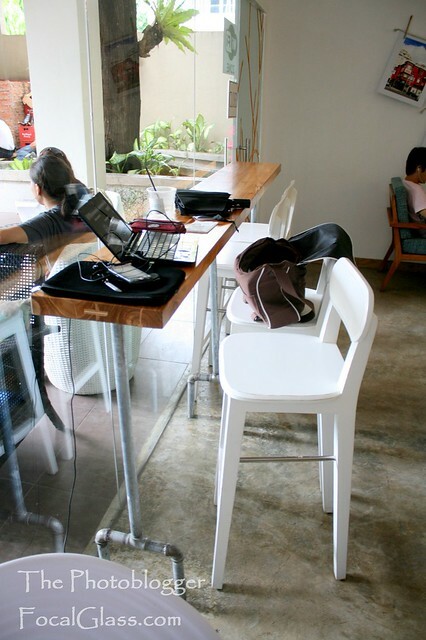 You pretty much have that in Coffee shops that don’t provide free outlets and those staff that give you the “oh-boy-it’s-a-wifi/aircon-leecher” look. In fact, they have service and comfort that make you feel at home in the place. 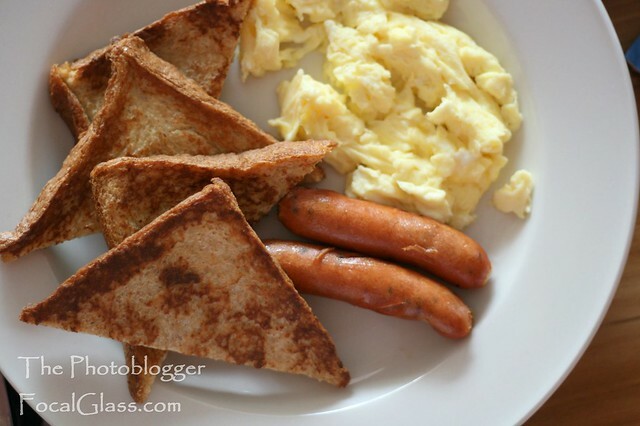 It’s a lot like UCC Coffee:Cafe Terraces minus the high prices. I do hope to interview the owner or the interior designer of the place as it had a very very interesting design. I tried their Iced Latte and Breakfast meal. Totally worth spending 😛 I like how they provide sweeteners made for Diabetic people! PAL sweetener FTW! All the more reason for me to love this place. And while I was there during my nth visit (I’ve been visiting the Cafe a lot), I took more pictures of the interior design. 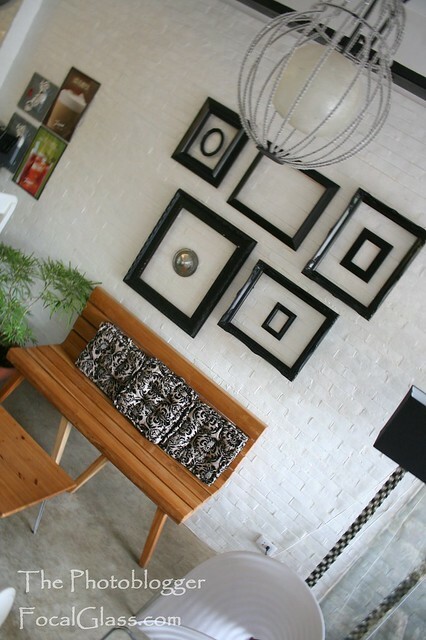 Ms. Fifi herself mentioned that the awesome resourceful and liberal interior design is by Bernadette Uy. I also checked the receipt and it says that Tiffany Rosito Ong Yiu owns this cool place. 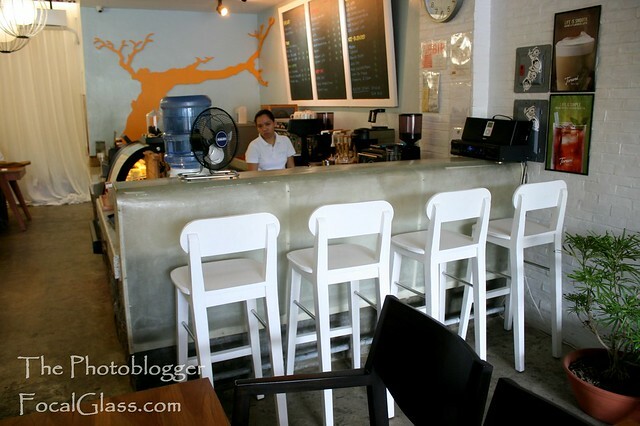 This entry was posted in Coffee Shops and tagged ccofifi cafe, Cebu Coffee shop, cebu coffee shop for diabetics, cebu cofifi, cebu cofifi cafe, coffee shops in Cebu, cofifi, cofifi cafe, COFIFI CEBU, cofifi coffee, where is cofifi.